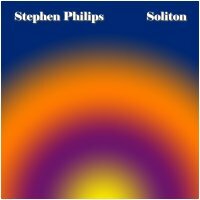 We are happy to present Stephen Philips' debut Earth Mantra album, entitled Soliton. Recorded live during a net radio concert on StillStream.com on August 7, 2007, this is a textural sound poem visiting both dark and light ambient territory. Despite the fact this was recorded live, the music is masterfully produced and the recording is pristine. We recommend listening to this release in your favorite easy chair, with darkened lights and headphones, to maximize the experience.